If you’ve been following this blog for a while, you may remember last year when we installed shelves above our toilet in the master bathroom. Since installing them, I’ve never really “decorated” them. Sure, I added a basket or two, but that was about it. But even with the shelves not decorated, this little area in our bathroom is one of my favorite views. The dark wall behind the shelves, the crisp white planking and the rough texture of the wood all combines to create the perfect backdrop for accessories. One of the big reasons I love this little display, is because of all the texture… and how bright this space is. You wouldn’t think it’d be so bright with the black wall, but surprisingly, it’s very fresh and bright. Just painted my powder room similar colors. 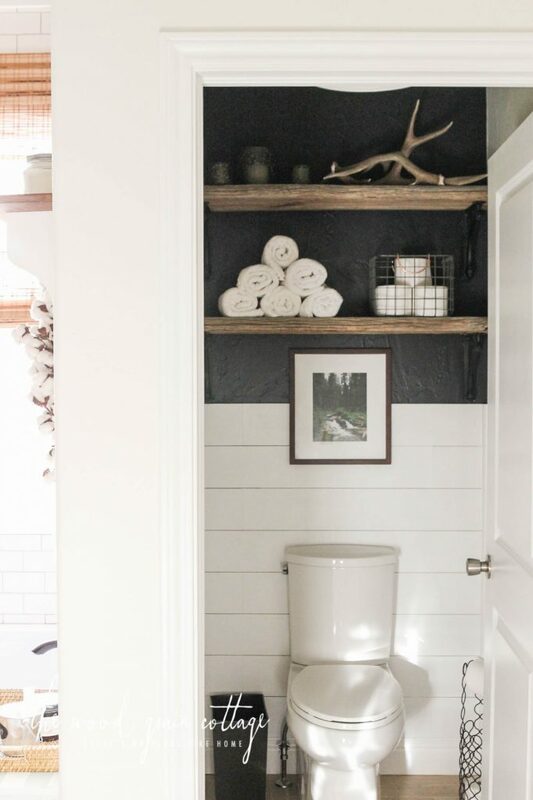 Charcoal gray wall with what I thought was a nice off-white for shiplap. However, shiplap is UGLY and yellow-ish. 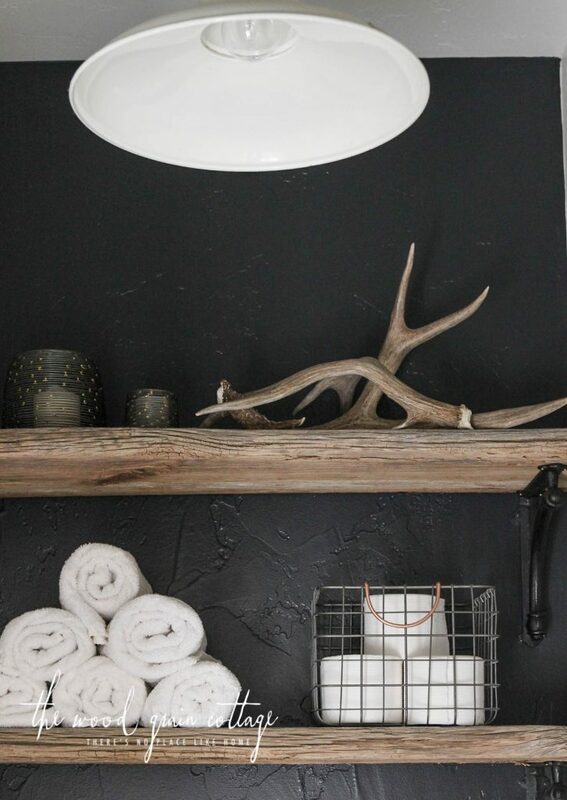 Can you tell me what color paint you used in your bathroom? I used Super White by Benjamin Moore. My favorite white!